Pine Rockland is one of two types of pineland that occurs in the Everglades, and is characterized by outcroppings of limestone on the Miami Rock Ridge. In his Everglades National Park and the Surrounding Area guidebook, TAS Honorary Board Member Roger Hammer writes that fewer than 4,000 acres of Pine Rockland remain outside of Everglades National Park, and that due to the mixture of temperate and tropical plants, Pine Rockland is the most floristically diverse plant community in Florida. In 2014, major parcels in the Richmond Pine Rockland, the largest privately owned tract in Florida, were slated to become the site of a new Walmart shopping center and 408 apartments ("Coral Reef Commons"), as well as a new theme park (Miami Wilds). The proposed projects for the parcels surrounding Zoo Miami galvanized TAS and its conservation partners to form the Miami Pine Rocklands Coalition to protect this imperiled habitat for future generations. Help us prevent what will otherwise be irreversible tragic losses. With less than 2% of Pine Rockland habitat remaining in Miami-Dade County, we should be preserving, not destroying, what little is left of it. We need everyone to join the fight to protect the remaining Pine Rocklands. Please donate to this cause and join the Coalition today. Contact Zac Cosner for more info. 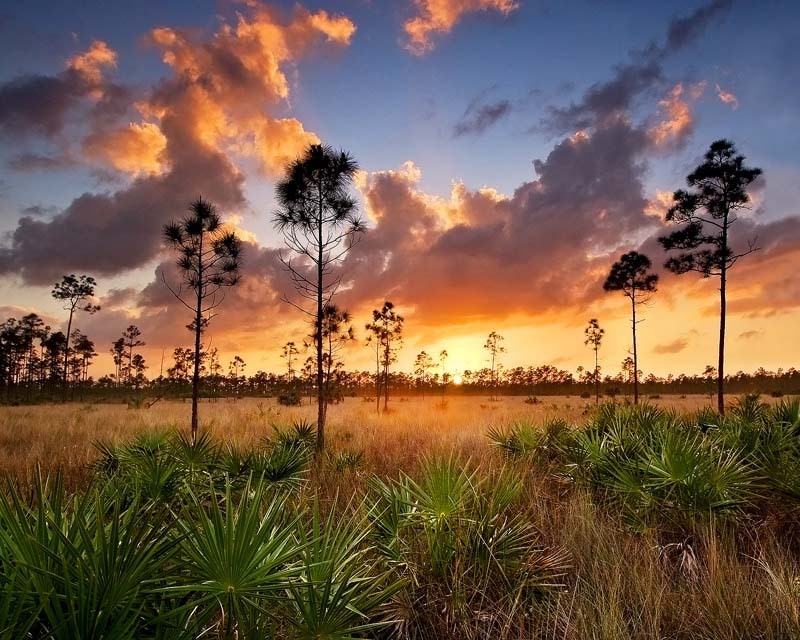 TAS maintains the Porter-Russell Pine Rockland, an 8-acre property in South Miami-Dade County, one of the few remaining tracts of globally imperiled Pine Rockland habitat remaining outside of Everglades National Park. Porter-Russell is a vestige of the 186,000 acres of Pine Rockland that historically covered large portions of high ground in Miami-Dade County. The unique habitat is home to three endemic species, including Mosier’s False Boneset with its tiny spindly white flowers. Located in Goulds on the east side of 124th Avenue between 222nd and 223rd streets, about a block west of Cauley Square shops, the Porter-Russell Pineland was donated to TAS in 1998 by William M. Porter of Annapolis, MD. The donation was part of a complex deal between the Department of Environmental Resources Management, the developer and TAS. The parcel was too small to become part of Miami-Dade County’s park system, yet worthy of preservation because of its high-quality pineland plant community. Today, it is hemmed by a housing development. In an effort to clean up the property and educate the public about the importance of threatened Pine Rockland habitat, Tropical Audubon Board Member Lewis “Brother” Milledge formed Friends of Porter-Russell Pineland, involving neighborhood organizations in the maintenance of the property and arranging a neighborhood picnic with nature walks. Partner conservation groups are also invited to use the property as an educational venue.